Describe what you do: I source, interview and hire students for internships and entry-level jobs. I also set recruiting strategies for my firm, coach recruiters and manage budgets. 3 words to describe you: Motivated, perceptive and competitive. Favorite hobbies: Cooking, hiking, traveling, CrossFit, reading, game nights and volunteering abroad. What is the accomplishment you are most proud of? Losing 40 pounds by changing my lifestyle with healthy eating and regular exercise. I learned I have strong willpower and no problem delaying gratification for a bigger reward. What scares you most about traveling? I’m not very good with foreign languages so I fear my inability to communicate clearly will be a problem. What excites you most about traveling? Adventuring into the unknown. Who will I meet? What will I experience? I love trying new things. What qualities do you hope your partner has? I hope my partner is super motivated with an unending drive to win. I need someone ready to play a social game on top of a mental/physical game. A likeable personality will help us steer clear of getting U-turned. Intelligence, physical prowess and strong social skills are key. What qualities will be hard for you to put up with in a partner? My partner can’t get frustrated too quickly. He or she also shouldn’t have the words “I can’t” in his or her vocabulary. What do you think will be the biggest challenge you and your teammate face? I’m deathly afraid of heights and falling, so my partner will need to complete those types of Roadblocks (bungee jumping, sky diving). Outside of that, I think we’ll need to figure out how to build a trusting relationship quickly so we can rely on our collective strengths to stay ahead of the competition. What country and place would you most like to visit and why? I’ve wanted to experience Italy, where my ancestors lived, and Australia, my bucket list country. Both are gorgeous environments steeped in history. What do you hope to accomplish by running The Race (other than winning one million bucks)? As a super fan, I’m looking forward to this life-changing experience of traveling the world while playing a game. I can’t wait to experience vastly different cultures and prove that I can accomplish more than I ever imagined. Watch 33-year-old recruiting manager Scott Flanary talk about what makes him adventurous, why he's nervous about the stranger pick, and if he'd be open to starting a relationship while on the Race. No future spoilers in the racer's threads please. It's funny how he's been doing the height-related tasks so far. I wonder what would happen if he and Brooke did the 10,000 ft skydiving Fast Forward. Oh my God I was so happy for Scott that they were behind TeamFun at the FF. I think they would've done the task eventually, as it took a pretty long heli ride until the task was actually revealed to Becca & Floyd, but Scott would've been devastated. He fails to disappoint me every leg! I've changed my mind, HE is the best casting decision this season! 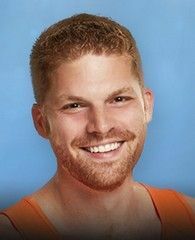 I know I love Brooke a lot and send the most love her way, but a giant round of applause to Scott too! Well done Scott, for putting with Brooke!!! I think Brooke fits every criteria except for the physical part. With this, Scott had to overcome more than just heights, which was his patience for Brooke. Best racer of the season! He had to overcome Brooke's constant whining and his fear of heights, yet he is still able to make really entertaining commentaries and reactions along the race. Kudos to him! Brooke did mention "I can't do it!" a couple of times. Interview with Scott (and Brooke)! ENTERTAINMENT WEEKLY: How did you two find yourselves on this innovative season of strangers? 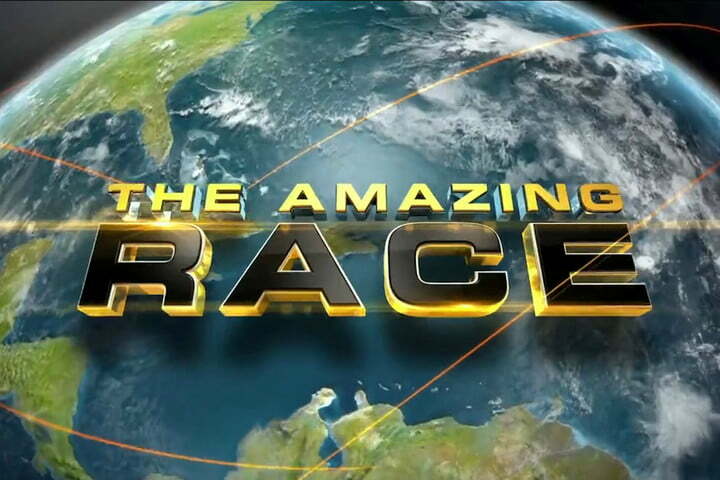 Did you go into the audition process assuming it was a more typical season of The Amazing Race? SCOTT: I had applied for Big Brother and Survivor before this [The Amazing Race] because I knew I wanted to play a strategic reality game show by myself. I had always wanted to be on the Race but never had a partner to apply with because, quite frankly, they either weren’t interested or I didn’t trust anyone enough to go with me. So when it was announced that this was a possible solo season, I applied directly online. Jan. 2 of last year, I made my video like a normal person online and made it all the way through the casting process as a direct applicant. BROOKE: I applied four times. I applied with my little brother, I applied with a sorority sister when we were in law school, I applied a couple of seasons back with a girlfriend of mine. … I wanted to do this since day one, and I tell people to keep trying because there’s always a chance. In the end, this stranger concept was a fun experiment in extremes. Some teams clicked immediately, and some teams… well, at what point did you realize maybe you didn’t have as much in common as you originally thought? To me, you kind of seemed like two people who could be best friends but couldn’t necessarily be roommates. BROOKE: [Laughs.] That’s about as accurate as you can be. We were out at karaoke [after completing the TAR] and Scott looked at me and goes, “We are the same person.” We are actually very similar Type-A, get things done at all costs people. And I think that you’ll notice as the race goes on, we both start to understand what the other one needs a little bit more and respect that. It struck me during the season that you seemed to be playing a more Survivor-style game of strategy than is typical in Amazing Race. Was there more room for that with this season of strangers, and how did it help you win? BROOKE: Scott’s laughing at me because I’m making the motion of a ladle with my hands. I think our alliances and our social game and the fact that we did come across a bit weaker were actually helpful to us, especially in a season where people were so willing to use those U-Turns on “the biggest threat.” So I don’t think it’s necessarily a negative to have come across as needing a little help or being a little slower or weaker because we knew when it came to the mental game and the social game, we were very, very prepared to play that way. SCOTT: When I was going through casting and they were asking what my goal was, I said I want to break open this mold of The Amazing Race; to take advantage of the stranger twist because none of us came in with a support system. So, I knew everyone was vulnerable to a degree of wanting to try to work the game in a way that would benefit them. Brooke, I want to ask you specifically about the physical aspect of the Race—what concept did you have going in of just how grueling this competition was going to be? BROOKE: One thing that most of the cast agree upon: It’s way harder than it looks on TV. I just want to say, if you mute the television and watch an episode, I look pretty boss! Because I never stopped doing anything. But I also never realized how much I told myself I couldn’t do something as I was doing something, and that’s one of the things you reflect on when you’re seeing it on TV. The other thing was, we were on a season of extremely physically fit people. I wouldn’t normally consider myself one of the least physically fit people, but this season, that’s how it happened to be. Looking back on the Race, what was the most surreal experience you had while traveling, and which leg would you never ever ever want to do again? SCOTT: This is not mean to be cheesy, but the start and end line were the most substantial for me. The start because it was literally a dream come true, and the finish because… it was literally a dream come true. I don’t want to water down all the phenomenal countries we visited or the experiences we had, but that for me meant I achieved the goal I had set for myself. BROOKE: You would think that my worst leg would be Africa because of making the ladle, but I found Africa lovely—making the desks for the children and seeing them in their classroom, I just found that fantastic. But the ladle is the task I would never want to do again. Brooke, after your victorious finish, you said the money was a nice cherry on top, but more importantly, the Race made you “a better person, a stronger person.” How was this experience transformative for each of you? BROOKE: I was always up for trying new things, but now I’m excited to try new things. I want to go to a hundred more countries and see a thousand more things because this experience really is the experience of a lifetime, and I’m so blessed and lucky that I got the chance to do it. SCOTT: Throughout the race, I was good friends with [Matt and Redmond], but I would get frustrated with them for always being so great at everything. Just after he was eliminated, Matt said, “Scott you need to have faith in yourself because you’re doing so much more than you ever believed.” Oh my god, I’m about to cry about that because it was the moment when I believed, “you’re right.” I think a lot of people—you discount your own abilities even if you don’t say it. You just think, “Maybe I’m not good enough or maybe someone else is better than me.” And you know what, dang it? I was the best this time around! It was me, and it was Brooke. … We shared such a unique experience as strangers, and it’s something we can’t really explain to anyone else. BROOKE: Scott’s like a brother to me now, and I can’t imagine that we wouldn’t be close for the rest of our lives. We’re actually traveling together to London, Amsterdam, and Belgium in July, not because we won anything, but because we really enjoy spending time together. SCOTT: We’re calling it the Victory Lap. The winners discuss the finale!